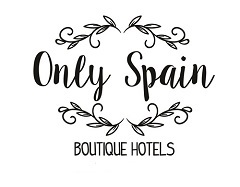 Only Spain is a growing online platform offering independent travellers from across the world, the opportunity to stay at truly unique locations in stunning places across the Spanish mainland and islands, creating long-lasting memories unforgettable experiences. Our demographic is the confident, fun-loving discerning traveller, aged 40+ who enjoys staying in luxurious yet traditional surroundings that are often well off the tourist trail. Australia, and the rest of Europe. As standard, all advertisers get rotating social media posts with every package. Our reader profile comprises women, ranging from 35-65 years of age. They are single, married or re-married and are in a happy, confident and comfortable phase of their life. They are well-educated, and their families are secure and independent. They spend less than they make and invest in their travels. They are well-travelled and enjoy exploring places off the beaten track. They enjoy good food and wine and like to get to know the local culture. They are tech-savy and enjoy keeping up to date with social media. They purchase gadgets that will simplify their life or solve a problem. Originally from the UK, I moved to Jaen, Andalucia in 1996 with my husband and two sons. Now, with three sons, a holiday rental home, websites, blogs and a dog later, my adopted home still enthrals me. I never tire of the endless scenery, the sea of olive groves, the multi-coloured sunsets, chattering birds, white towns scattered through mountains and valleys, and of course the friendly people. Searching out beautiful places to stay on our jaunts around Spain is what gave birth to Only Spain. And I love sharing all that Andalucian living has to offer to the discerning holiday maker, through this collection of gorgeous places to stay and/or through my trip planning services.